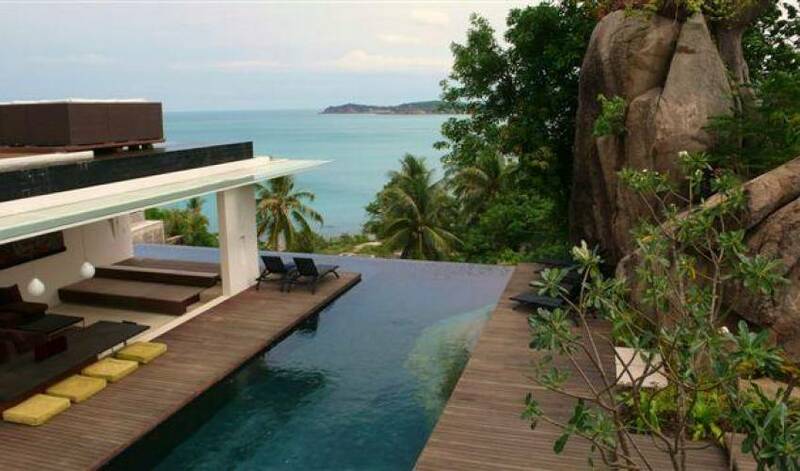 Poised on an intimate hillside overlooking a coral cove with private beach access, the Villa is located on the northeastern coast of Koh Samui just minutes from the airport and the beaches of Choeng Mon and Chaweng. 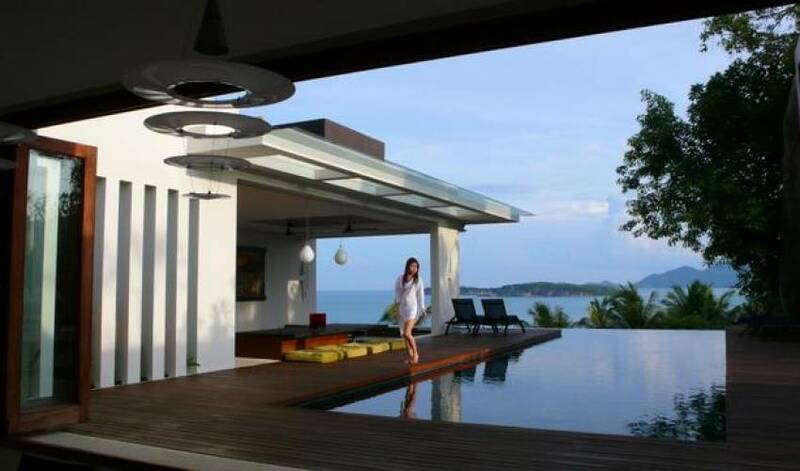 Each of our 4 Bedroom Seaview Villas are unique in layout and design although each stunning villa features four oversized en-suite bedrooms, expansive open-air lounges and terraces, infinity edge private pools and fully equipped modern kitchens. Perfect for a family gathering, small event or intimate wedding. Facilities differ from villa to villa and we would be delighted to match your needs with the perfect villa for your stay. 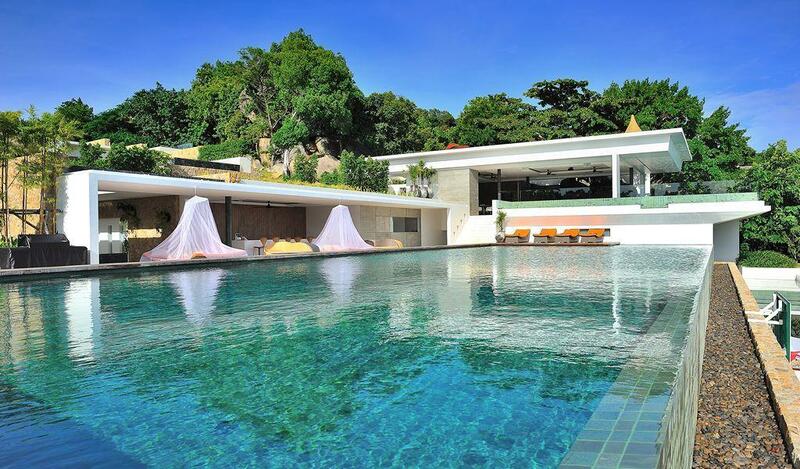 Samui's most exclusive villa estate, seamlessly blends contemporary luxury with modern Thai architecture, designed and created by the multiple award winning, Gary Fell. 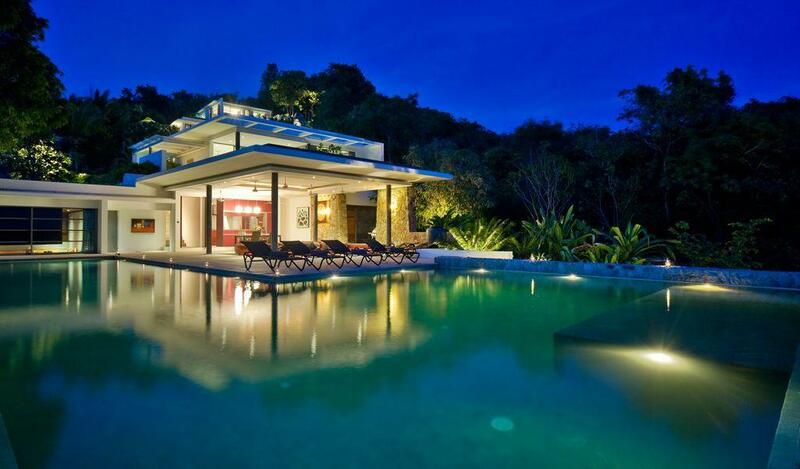 Gary has designed our spectacular villas around the unique topographical conditions. 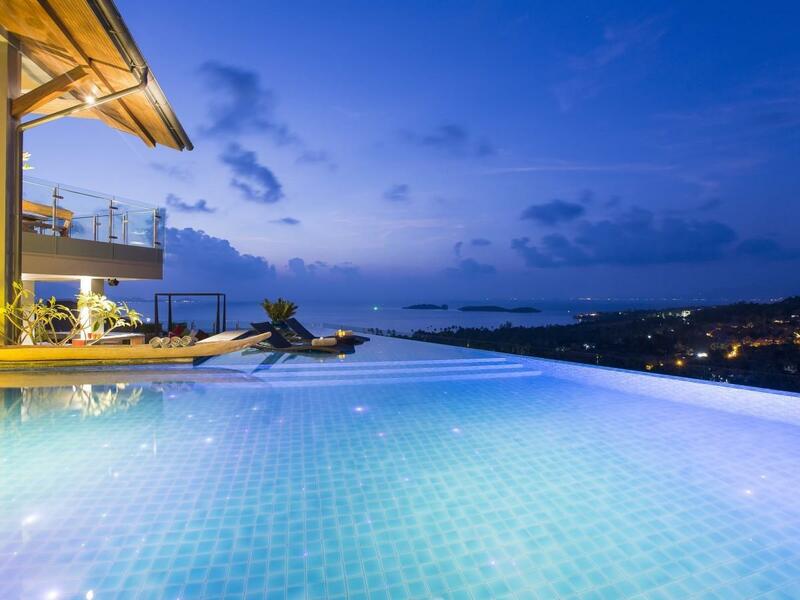 Set into the hillside and making use of dramatic rock outcrops and indigenous trees, the villas feature grandstand views of the sunrise and the uninhabited islet of Koh Matlang. 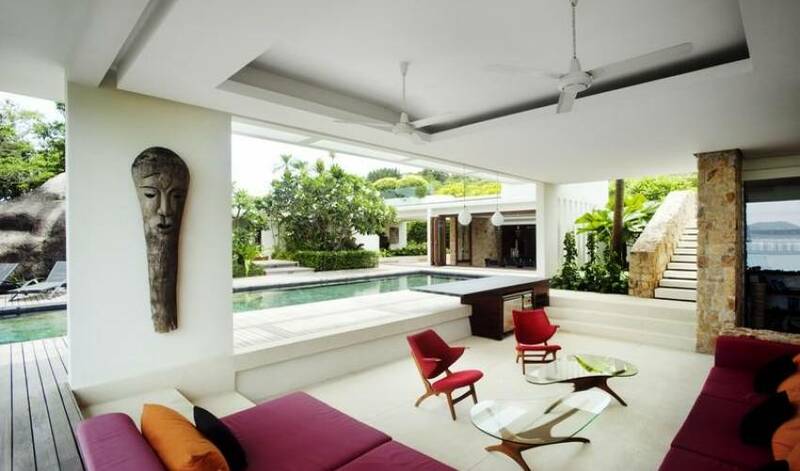 All villas feature extensive living and dining areas, state-of-the-art kitchens, private infinity edge pools and are equipped with the latest in audio and media facilities. 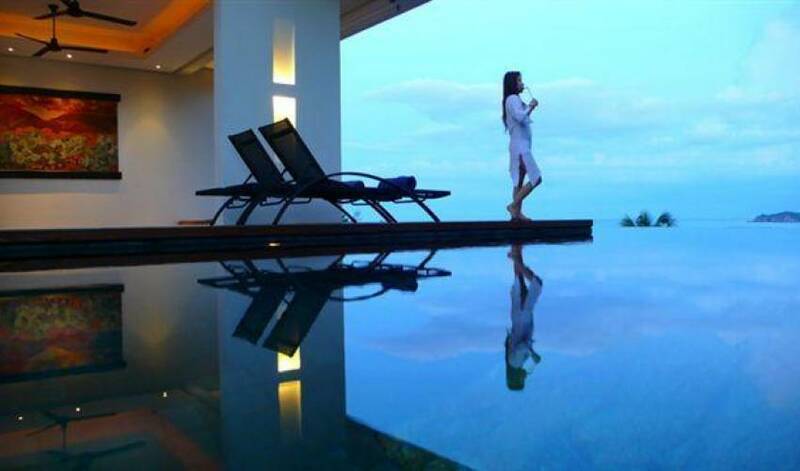 Each villa is managed by a multi-lingual Villa Host and a dedicated team of Villa Attendants, trained to ensure that your stay is as amazing as the views from your villa. 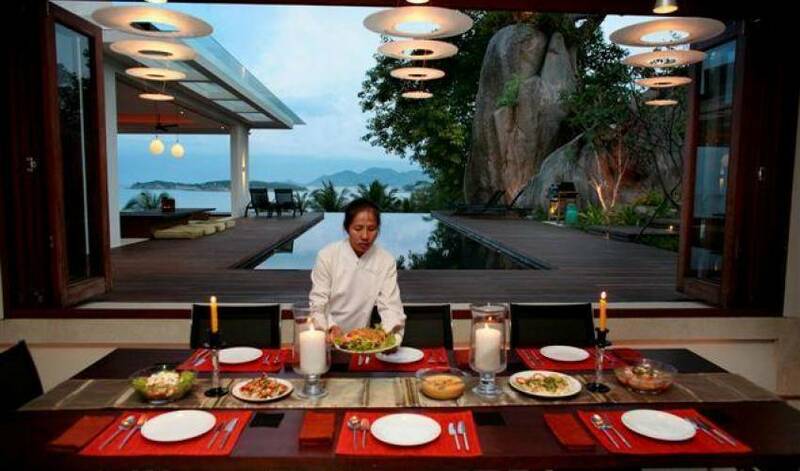 Private Thai chefs, massage therapists, babysitters, translators, drivers and guides can all be arranged for your convenience. Guests have a wide range of experiences to choose from. Enjoy a challenging game of tennis on our all-weather, floodlit tennis court. Workout in Samui's only commercial grade gym; featuring a basketball court, championship boxing ring and state-of-the-art fitness equipment. Charter our 43 ft. catamaran, ‘Kindred Spirit’, complete with 3 luxury cabins for a private cruise or overnight stay on the open ocean. Go waterskiing, diving or snorkeling with our fleet of water-sports boats directly from our coral cove beach. 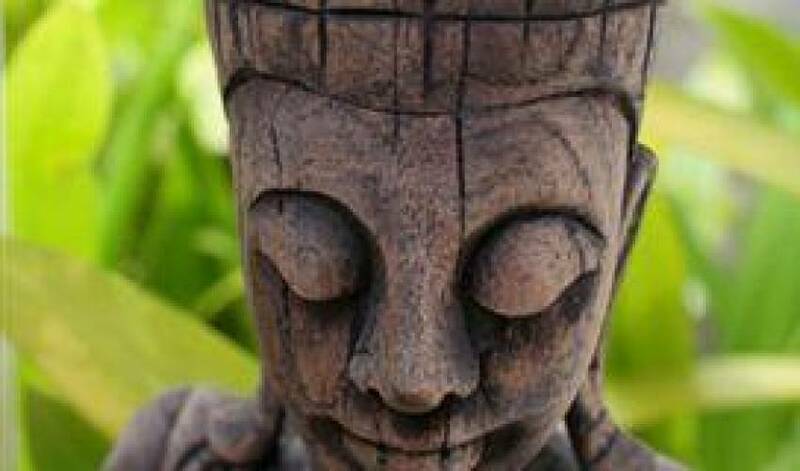 Take a tour of our beautiful island to see the waterfalls, mummified monks and elephants on the island of smiles. Villa 4429 also offers private parking, complimentary wireless broadband internet in all areas and stunning wedding and event venues for the perfect special occasion.